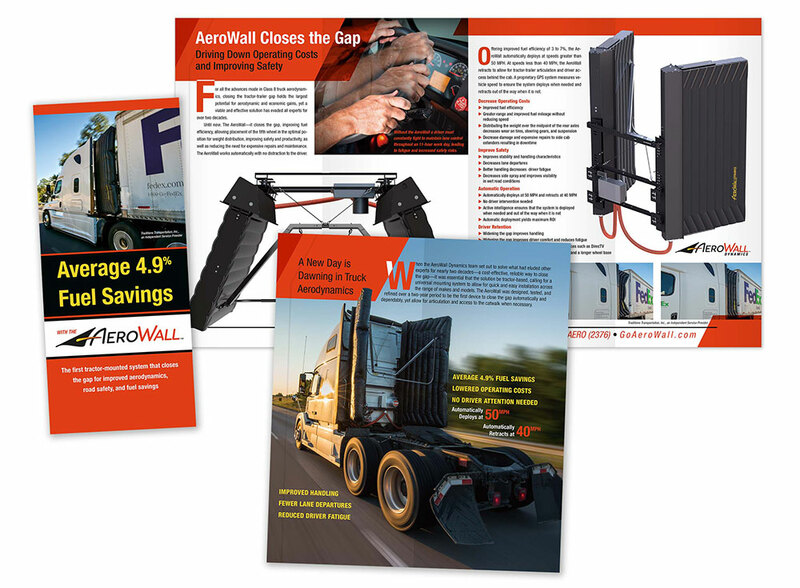 The AeroWall is a product that improves tractor-trailer aerodynamics, delivering a jump in fuel efficiency of 4.9%. Our involvement began with naming the AeroWall and designing its logo while it was still on the drawing board. 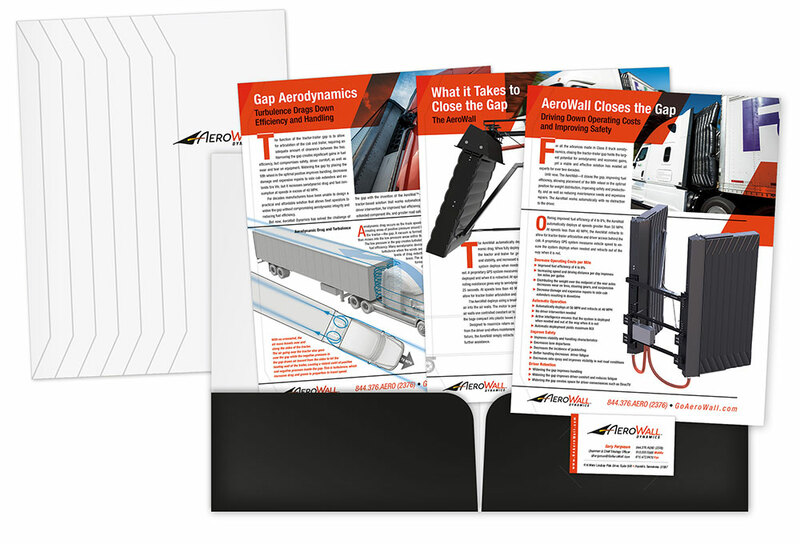 Over a series of months it was decided to adapt the product name to become the company name, AeroWall Dynamics, calling for a slight adjustment to the product logo. 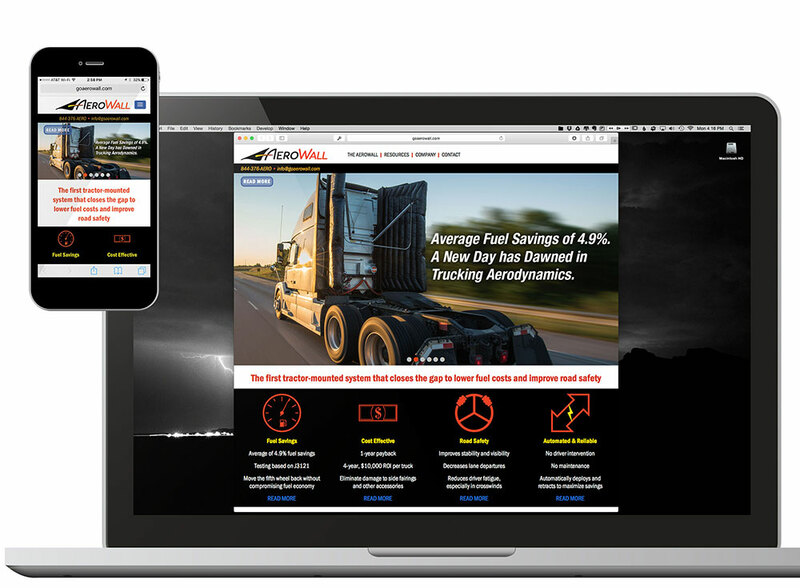 The CEO asked for our help developing an extensive series of investor relations materials including a wide array of graphics and photographs, many of which­ were repurposed in the marketing materials and website. 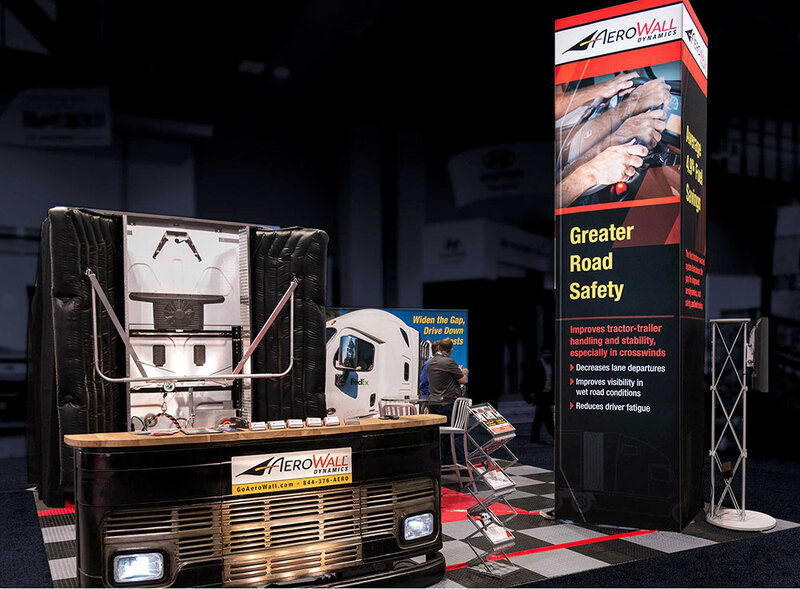 As their first trade show approached we created graphics for the booth which included a full-size working model of the AeroWall.